The all new BMW X5 will launch in the Canadian market with two gasoline variants (xDrive 40i and xDrive 50i) and a PHEV variant is planned to follow. BMW Canada says no final decision has been made on the future availability of diesel fuel models in Canada. The company, which currently offers four diesel fuel vehicles in Canada, told Automotive News Canada this week that is still reviewing whether to offer a diesel version of its redesigned 2019 BMW X5 crossover sports utility vehicle. 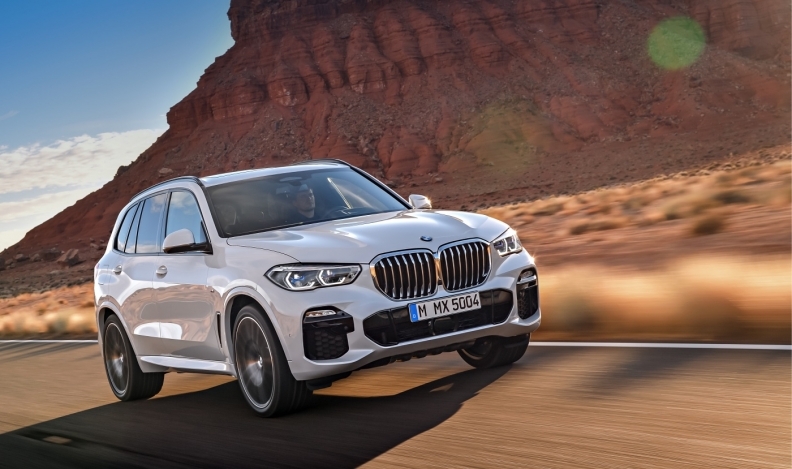 “The all new BMW X5 will launch in the Canadian market with two gasoline variants (xDrive 40i and xDrive 50i) and a PHEV variant is planned to follow in 2020 as a 2021 model year,” the company said in an email statement, referring to a plug-in hybrid electric version of the vehicle. The Richmond Hill-based unit was reacting to media reports the German car maker plans to stop offering diesel fuel vehicles in the U.S. after the 2018 model year in favour of more plug-in hybrid and electric vehicles. “We're putting all our eggs in the PHEV basket," BMW North America spokesperson Alexander Schmuck said at a press preview of the redesigned BMW X5, which is made in South Carolina. BMW later updated its response to say a final decision on whether the BMW X5 diesel variant will come to the U.S. market had not been made. The German car maker currently offers four diesel fuel models in Canada, including the 328d xDrive and 328d xDrive Touring passenger car, the 540d xDrive sedan and BMW X5 35d sport utility vehicle. The market for diesel fuel vehicles in Canada has been on the decline since Volkswagen AG admitted in 2016 to installing software on its diesel engines to cheat U.S. emissions tests. The cheat software allowed the vehicles to emit more pollutants than allowed in both the United States and Canada. An Ontario Superior Court judge approved a settlement worth up to $290.5 million with about 20,000 owners of 3.0-litre VW, Audi and Porsche diesel vehicles in Canada affected by Volkswagen AG’s diesel emissions-cheating scandal. The settlement provides for cash payments to owners and lessees. The German automaker also agreed to pay a $2.5 million Canadian dollar civil penalty. The automaker previously settled with Canadian owners of Volkswagen and Audi vehicles with 2.0-litre diesel engines. In 2016, Volkswagen agreed to spend up to $2.6 billion Canadian dollars to buy back or fix 105,000 polluting 2.0-litre diesels and compensate owners in Canada. The German automaker subsequently stopped selling diesel models in North America. At its peak in 2015, diesel sales in Canada accounted for just four per cent of all passenger vehicles sales, according to DesRosiers Automotive Consultants. Some automakers, including Mercedes-Benz, have also abandoned diesel sales in the United States as government regulations and consumer taste shift toward new electric models.